Like a private villa with huge terrace and sea view. 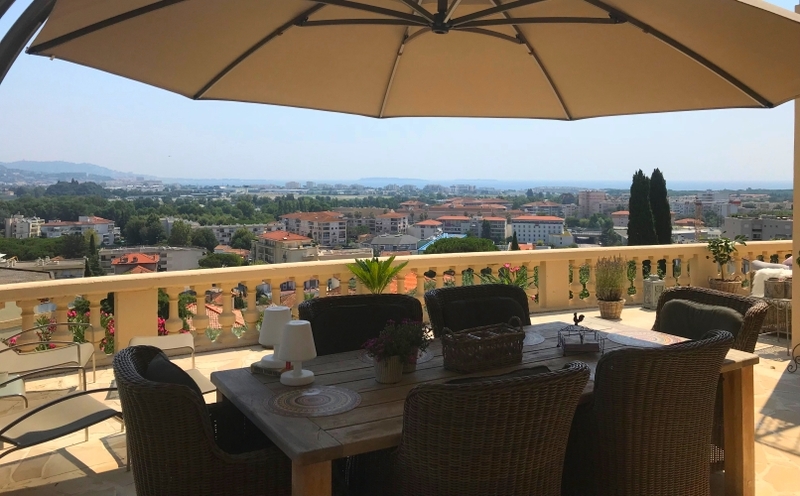 Just 10 min from Cannes and walking distance from Mandelieu center, you will find this lovely 2 bedrooms apartment. 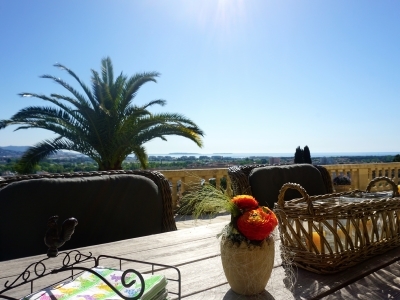 Very nicely decorated, and with a huge terrace with open views over Mandelieu, the coastline towards Cannes and sea. 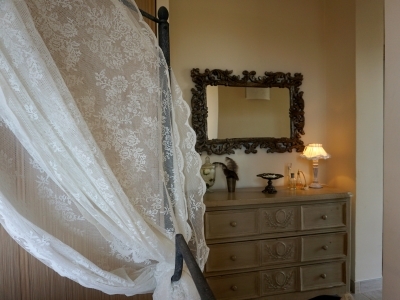 The apartment offers 2 nice bedrooms with their own bathrooms, open living area with glass doors leading out to the terrace. Around the corner from your terrace you have your ”almost” private pool, it's shared among the few neighbohurs in the buildning. 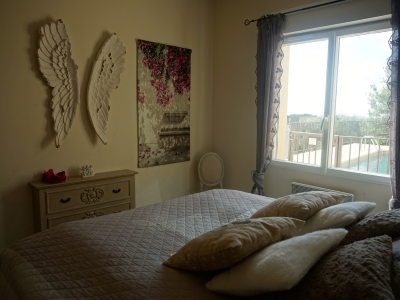 This flat offers everything you need for a perfect holiday, book it fast! Layout: open living and kitchen area in a modern scandinavian style. 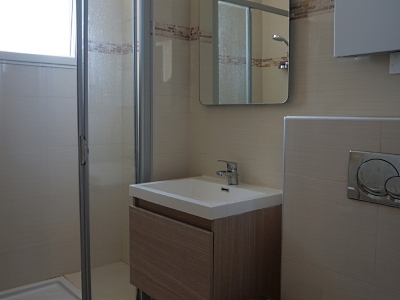 2 double bedrooms with 2 bathrooms. 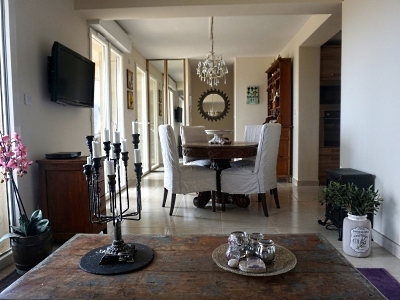 Big window doors leading out to the terrace with areas for dining, sun bathing and BBQ. Size: approx. 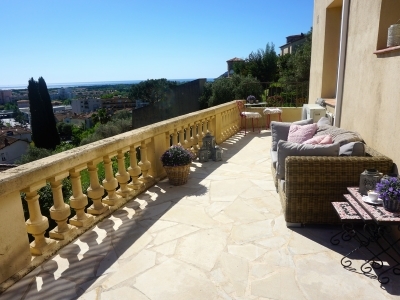 60m2+ terrace 25m2. View: beautiful view over Mandelieu (very nice in the night) and the coastline towards Cannes, and the sea. Garden: big private terrace and access to smaller grass areas and the pool area shared in the villa building. Parking: private parking for 1 car. 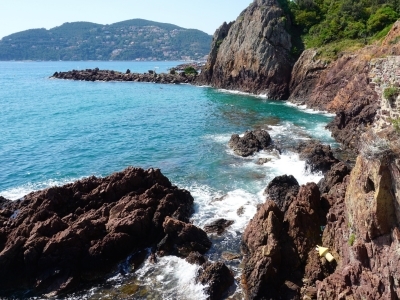 Location: located about 10 minutes by car west of central Cannes above the coastal village Mandelieu/La Napoule (perfect for strolling or jogging beside the sea). 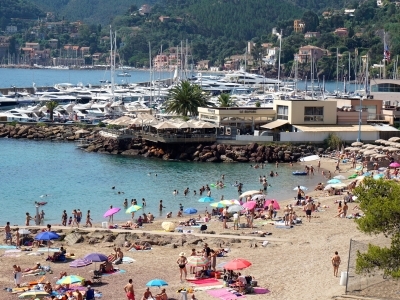 Entertainment/shopping: everything Cannes has to offer only 10 minutes away by car. Closest is the small coastal village of La Napoule, which is a wonderful summer place with plenty of restaurants, boutiques, etc. Bakeries and small shops very close by. 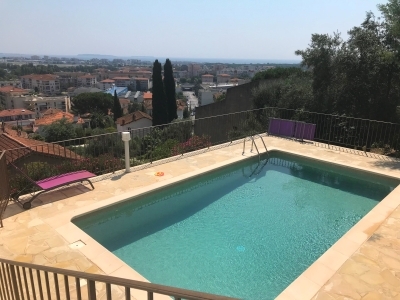 Bathing: 5 minutes to the whole coastline of beaches and beach life between Cannes and Mandelieu. Golf: Some of the best golf courses on the Riviera are situated close by. 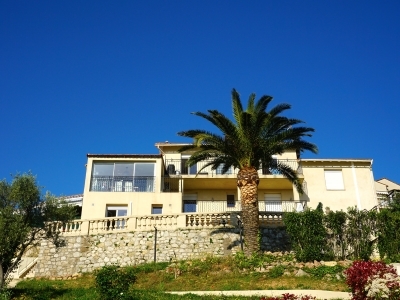 Airport: 25 minutes from Nice Côte d’Azur airport. 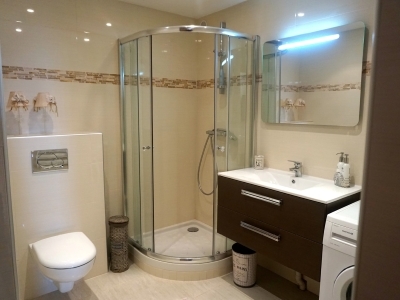 Rented by the weekend or week Saturday-Saturday, arrival 16:00, departure 11:00. Smoking indoors is not allowed. More info about this house or book now?